OPTIMA® Batteries now offers a direct fit replacement for the 2004 and newer Toyota Prius®. This new 12-volt AGM battery is the first OPTIMA product to provide a direct fit replacement for the Toyota Prius. The Toyota Prius community, that has had limited battery replacement options in the past, will clearly benefit from this new product. The YellowTop product (model number DS46B24R) will be available to Toyota Prius drivers starting today. It integrates with the current Toyota OE vent system, does not require special installation, making installation easy for technicians and consumers alike, and of course, with all OPTIMA Batteries comes a longer lifespan (up to two times longer than traditional batteries). The product is similar in size to the OPTIMA Group 51 Battery, but with T1 (pencil) posts. Besides simply being a direct fit replacement for the Toyota Prius, the new battery features deep cycle dependability, over 15 times more vibration resistance compared to traditional batteries, and a long shelf life thanks to the low self-discharge rate. As the global leader in high-performance automotive and marine batteries, OPTIMA Batteries pushes to be ahead of the technology curve in order to be The Ultimate Power Source™. The new battery, which has a spill-proof and maintenance-free design (like all OPTIMA Batteries), is proof of the brand’s focus on quality. 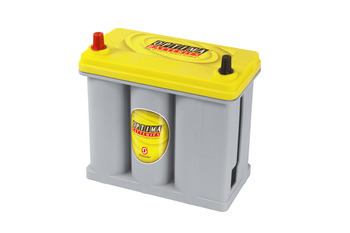 The YellowTop battery can be purchased at shop.optimabatteries.com or at a number of OPTIMA dealers nationwide. For additional product information or to identify a dealer, visit www.OptimaBatteries.com.